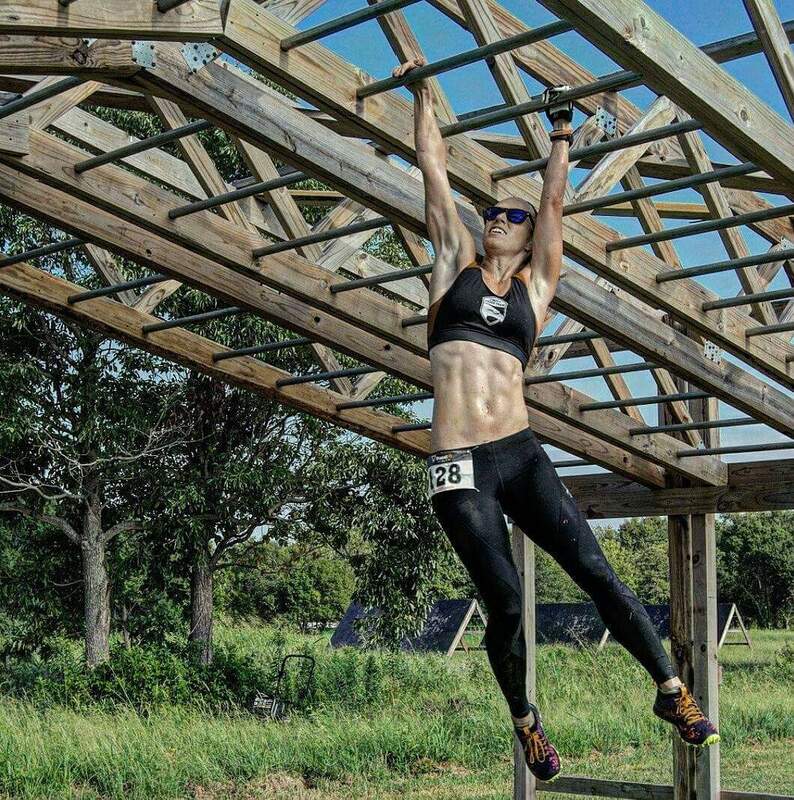 Kait Bykowicz is a sponsored Obstacle Course Racer, personal trainer, and designer hailing from Oklahoma City. She focuses on supplementing her intense training with just simply being outside. As a designer she owns and runs her own studio 3oh'9, with a focus on helping startups and non-profits achieve amazing results with their creative. Kait is an inspiration to strong women and a symbol of perseverance. We had the chance to catch up with Kait in between races to hear her story. I was born and raised in Valley City, OH. It's a very rural farming township in North Eastern Ohio. I lived there for 21 years before relocating to Oklahoma after college. How did you get into adventure racing? I got into Obstacle Course Racing (OCR) in 2011. I had been running road races since I was a kid, and track in high school, but had kind of distanced myself from it in college. That is until I heard of this race where you climbed over walls, and under barbed wire, and it was this new kind of big deal thing that sounded like a great time. Although far from what it is today, 6 years later, it was a welcome change from road running that gave me a renewed interest in fitness and running. That same year I ran my first Tough Mudder with my dad by my side, and I walked away with hypothermia, sore, defeated, and hungry for more. The amount of mental strength you have to have, to command yourself to continue when every part of you wants to quit, is amazing. When you gain that ability for your mental strength to be deafening over the pain you feel, you can conquer anything, and it becomes addicting to see what you can do next. 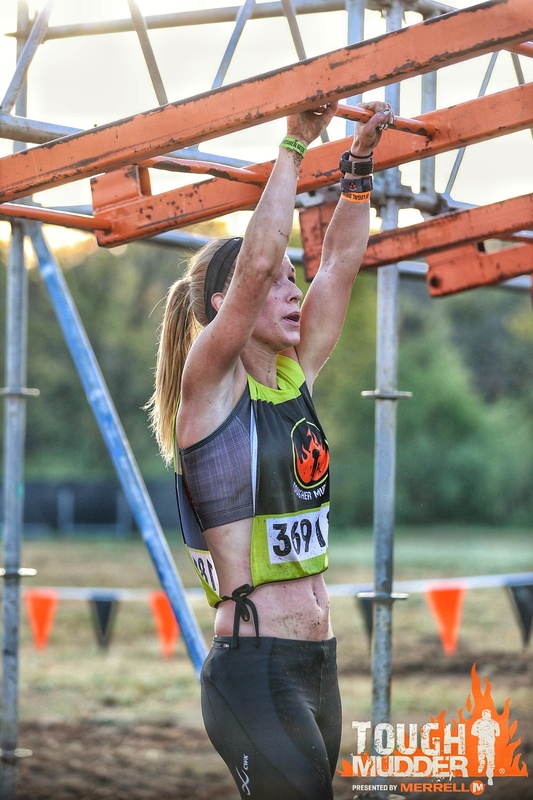 What would you say to other women that want to do their first adventure race but are intimidated? The sport is men heavy, often races I toe the start line with maybe 5 other women, after having watched a couple dozen men go off. We fight for equality, yet so many of us believe we aren't capable of things our men counterparts are. Let me tell you, you are. The women who are in the sport are super amiable. I have only ever met one woman at a race, who made me feel inferior purposely. One. Out of 100s of races. I encourage all women to get out there and try a race. Don't wait for your friends to agree to go. I remember the first race I ran alone, I almost didn't go. Mud Ninja, in Ohio. My friend bailed the night before, and I told myself I couldn't do it alone. I did end up going alone, knew no one, and still had help offered when I needed it, and finished. Challenge yourself to go and make new friends, have new experiences, and walk away with a different kind of strength. If running alone scares you, and your friends aren't up for a run, look for a local team. Team Valhalla has become my family away from home. The support always helps calm anxiety before a race. What was the most challenging race you've competed in so far and why? The most challenging race I've competed in was OCR World Championships 2016 in Blue Mountain, Ontario. Although I think 2017's course was harder, I was under prepared for 2016. Living in Oklahoma there are few areas to run any sort of elevation change. The mountain tore me up physically and mentally. I was drained and dead when I crossed the finish line in 2016. Although, the charity Make A Wish 8k at the OCR World Championships 2017 might be a close second. The hurricane winds at the top of the mountain, with the hardest rain I have ever encountered, and cold temperatures made me hypothermic and absolutely miserable. Especially after having ran the 15k, and team challenge before it. I have 2. One of my favorite obstacles is the Indian Mud Run Floating walls, from the Indian Mud Run Race in Coshocton, OH. They've really reinvented them over the recent years, and watching the genius behind it's evolution is awesome. They make for some pretty cool pictures, and the people watching think they're alot harder than they really are. The other was a new one for me at OCRWC 2017, the La Gaffe du Draveur, from The Northman Race. A series of poles that you cross and move from side to side. It was innovative and surprisingly fun. What weaknesses are you currently working to overcome and what does your training look like to attack it head on? My biggest weakness is elevation climbing. I've always hated hills. But I recently bought another property specifically to build obstacles to practice, and it has hills! A run around the block is about 4 miles and 500 ft of climbing. Not much, but for around here it is more than I've found anywhere else. Since I've moved here I have definitely noticed a change in my training, and PR'd my 5k in a local race, on a flat course unintentionally just setting out to have a good time. I run hill sprints weekly now, and while I still hate hills, it definitely helps. Would you consider yourself to be environmentally conscious, and why? I would say I am decently environmentally conscious, but I could probably do more. Anywhere out in the country. Where houses are few and far between, it's easier to breathe, and it's quiet. The land is often untouched and you pass more cows road running than cars or people. I was raised out in rural OH, and rolling farmland is where I've always felt at home. If there were an individual cause that you care about, related to the environment, what would it be? Animal habitats and the impact we as humans have on them environmentally. I'm a big animal lover. (I have 2 large dogs, and I've been dog sitting a 3rd for 6 months.) The thought that we are destroying their homes, and leaving them with few places to live, and quite frankly just ruining their lives, breaks my heart. We are seemingly careless about species other than our own, destroying their habitats in a moment. If we keep destroying the few places nature still takes precedence, our world is going to become a very dismal place. 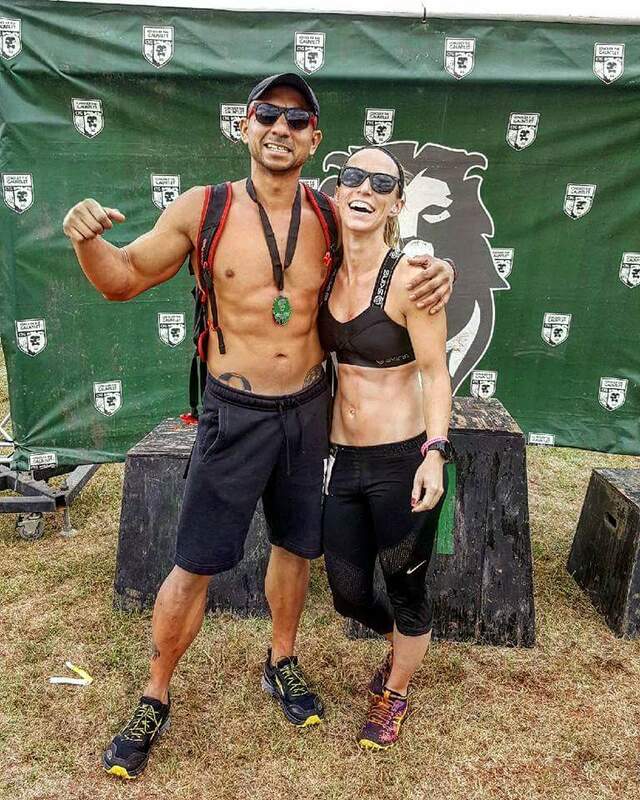 Do you think there is an intersection between being an elite obstacle course athlete and caring about the environment? Of course there is an intersection between being an elite OCR racer and caring about the environment. Our races are held in some of the most beautiful areas, and anyone who has tried to find a venue for an OCR to be held at, can attest to the fact that there aren't all that many large plots of untouched land left. I took part in a 12 hour overnight adventure race, Dusk till Dawn, that was held in a state park in Kansas. We covered 50 miles on foot and bike, through corn fields, woods, and lakes. Almost everything I take part in is outdoors, and largely requires the environment to be natural and not man made. Those of us who spend so much time outdoors have no problem seeing the beauty, and knowing we have to protect it. It's on us to remind our indoor counterparts such. You can find me @kaitmzd on instagram and also through my design studio's website if you are interested in discussing my creative work.